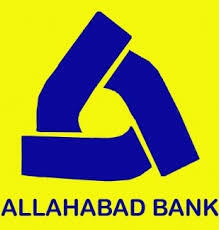 Allahabad Bank Jobs Recruitment Notification 2019.Allahabad Bank inviting applications for the positions of Specialist Officers.Interested and Eligible candidates can apply for the positions. a. Qualification: Graduate in any discipline from any recognized University. b. Work experience: Minimum 5 years as Junior Commissioned Officer and equivalent in the Indian Army/ Navy/Air Force OR 5 years as a Police Officer in the rank of Inspector OR An Officer of identical rank in Paramilitary Forces with minimum 5 years service. b. Work experience: Minimum 3 years in Fire safety including fire & safety of high rise buildings. b. Work experience: Enrolled as an advocate with Bar Council and minimum 3 years experience of practice at Bar or Judicial service and / or minimum 2 years as a Law Officer in the Legal Department of a Scheduled Commercial Bank or the Central / State Government or of a Public Sector Undertaking and candidates should produce a certificate of having requisite post qualification work experience from the Court / Bar Council / Organization. ​​​​​​​b. Work experience: Minimum 2 years experience in maintenance and administration of Operating Systems e.g. Windows, Linux, Unix, AiX etc. Merely satisfying the eligibility norms do not entitle a candidate to be called for Online test/ Interview. 1. Candidates to go to the "Recruitment Link under Career Section" on the Bank’s website www.allahabadbank.in and click on Direct Recruitment of 92 Specialist Officers 2019-20 and then click on the option “Apply Online” which will direct you to online application form. 2. To register application, choose the tab “Click here for New Registration” and enter Name, Contact details and Email-id. A Provisional Registration Number and Password will be generated by the system and displayed on the screen. Candidate should note down the Provisional Registration Number and Password. An Email & SMS indicating the Provisional Registration number and Password will also be sent. advised to use the “save and next” facility to verify the details in the online application form and modify the same if required. Visually Impaired candidates should fill the application form carefully and verify/ get the details verified to ensure that the same are correct prior to final submission. 4. Candidates are advised to carefully fill and verify the details filled in the online application themselves as no change will be possible/ entertained after clicking the Final Subimt Button. 5. The Name of the candidate or his /her Father/ Husband etc. should be spelt correctly in the application as it appears in the Certificates/ Mark sheets. Any change/alteration found may disqualify the candidature. 6. Validate your details and Save your application by clicking the ‘Validate your details’ and ‘Save & Next’ button. 7. Candidates can proceed to upload Photo & Signature as per the specifications given in the Guidelines for Scanning and Upload of Photograph and Signature detailed under point “C”. 10. Modify details, if required, and click on ‘Final Submit’ only after verifying and ensuring that the photograph, signature uploaded and other details filled by you are correct.